We are here to make your special day a memorable one. We provide a wide range of services from Weddings, Proms, Birthdays, Childrens Special, Christenings and Anniversaries to Stag/Hen Nights, Race Days, Theatre Trips, Hour Gift Drives, Babies 1st Trip, Airport Transfers, Business & Corporate Events. We are a Southampton based company covering the whole of Hampshire & Wiltshire. 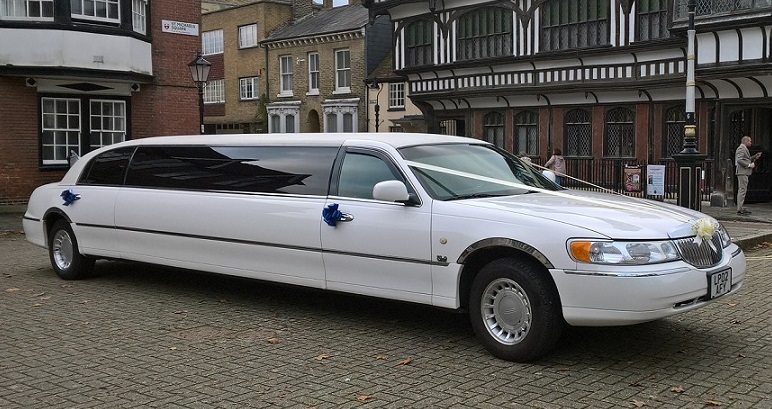 We give a first class service in our luxury limousines and Wedding Cars. All our chauffeurs are both courteous and smartly dressed. You can party day or night with one of our limousines. For a special occasion the limousine will come with an appropriate banner, party poppers, balloons and a complimentary bottle of bubbly or soft drinks for the younger party goers! Wedding cars from the stretched limousines, modern & classic cars to Vintage cars. All the wedding cars would come "dressed" with ribbon & bows.